My son loves cars, trucks and most especially trains. If it’s got wheels, my little boy is all over it. 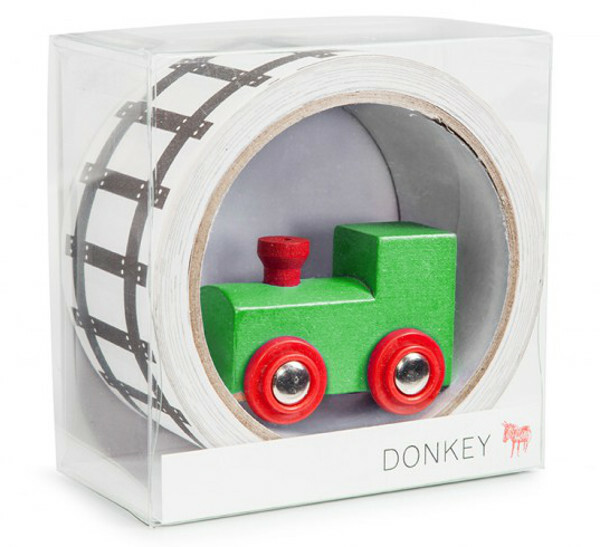 Often we take a tin case of toy cars, trucks and trains to nanna’s, friends or wherever we’re going to guarantee hours of entertainment. The best thing about this travelling kit of vehicles, is that my son will create roads wherever he likes. 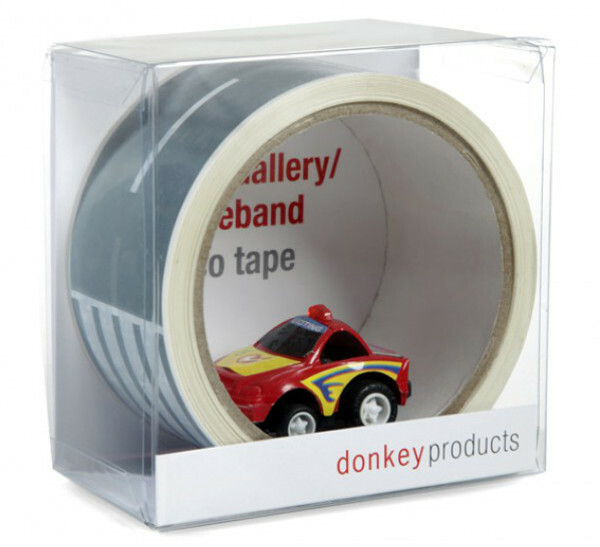 The very next thing I would pack in that case is Tape Gallery by the innovative designers at Donkey Products. It’s very similar to the road tape by Barnvanligt we showed you back in 2010. 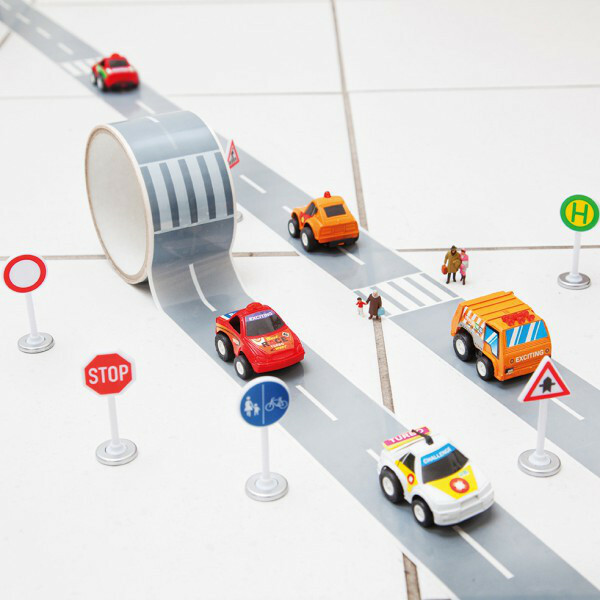 Roll out this brilliant take-along track on the floor, wall or table and the fun instantly gets started. Try the tape along the hallway and see those cars fly! 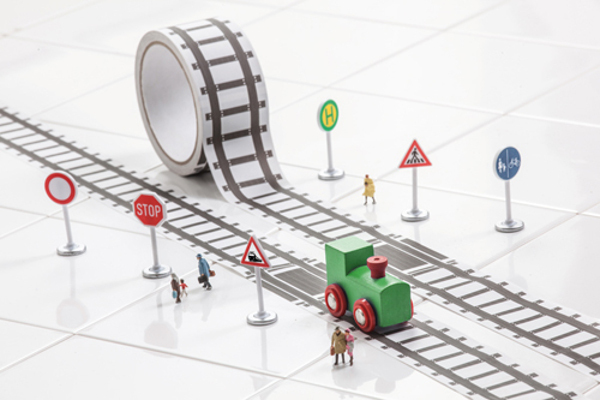 The My First Train pack includes a railway tape plus toy train, while the My First Autobahn has the road tape and toy car. The tape in the packs is 33m long (by 5cm wide), so it goes a long, long way . Both tape packs costs $21.95 each and come recommended for ages three and up. My First Autobahn is now available at Until while My First Train is coming soon.